The “Integrated Logistics Laboratory” is located directly on the historical main campus of the Berlin Institute of Technology (TUB). By its use, the chair of logistics is equipped with a research and teaching laboratory, which employs the most modern material handling and identification technologies. All the fundamental internal logistics processes - starting from goods receipt over internal transports, storage and order picking, up to packaging and goods issue - can be compactly replicated with the help of up-to-date equipment. Thereby, the laboratory provides the basis for researching the interaction between modern technologies and intelligent processes in logistics. Additionally, it aids to impart practically relevant logistics know-how to the students. In particular, the chair of logistics uses business games, in which students are the supplier of toy cars individually manufactured for the customer. 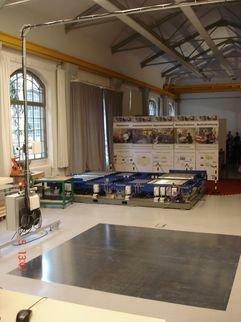 The integrated scenario shows how the physical handling of material is carried out in the laboratory, after the production and logistics processes were planned and simulated in the computer pool. 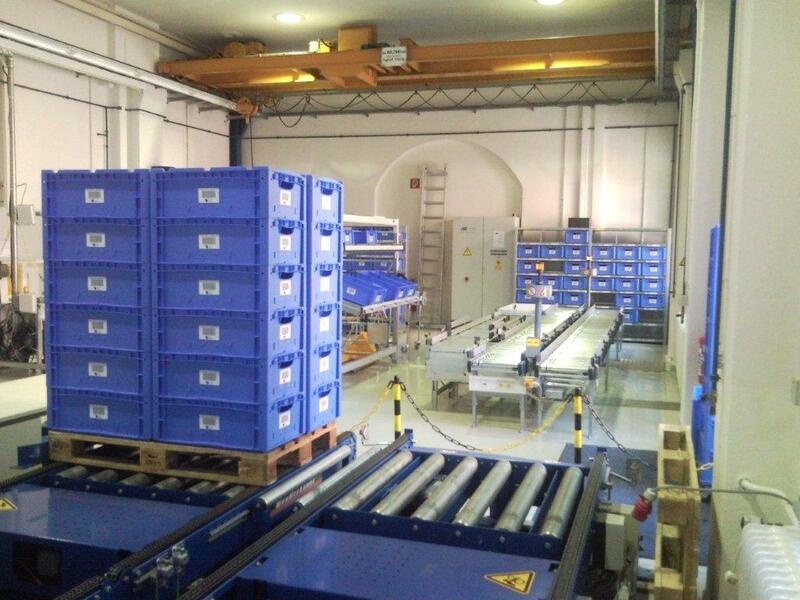 Another highlight of the “Integrated Logistics Laboratory” is the environment for RFID experiments, which consists of several stationary and mobile, passive and active RFID systems. In combination with the available material handling technology, the IT competence for developing experimental software and the analysis of RFID data, it is possible to evaluate the feasibility of the use of RFID technology in applying different logistic scenarios.